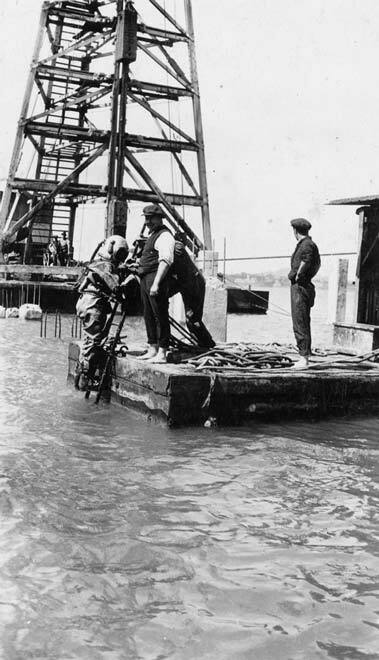 This diver was photographed working on the construction of Princes Wharf, Auckland Harbour, in 1921. Divers began assisting with tasks such as salvage of vessels and harbour works in the 19th century. But before the advent of scuba diving, they wore cumbersome equipment that prevented them from moving far underwater. Air was supplied from the surface to the heavy helmet, through a hose.